Make sure your car runs smoothly on the road by keeping the tyres and wheels in excellent condition. At C.A.R.S., in Woking, Surrey, we supply and fit a wide variety of tyres, covering cars of all makes and models. Our mechanics carry out a complete wheel alignment service. With an increasing number of potholes littering the nation’s roads, and speed bumps playing havoc with shock absorbers and suspensions, many people find that their wheels are misaligned. If you notice that your car is difficult to steer, or is pulling to one side, visit C.A.R.S. Using specialist equipment, we will realign your wheels. Having your wheels aligned is also essential to increase the longevity of your tyres. Specialising in cars and light vans, we supply tyres for all makes and models at competitive prices. 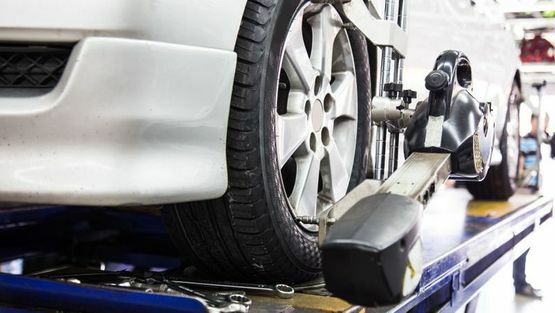 Using more than 30 years of experience, our mechanics are able to advise you on the perfect tyre for your vehicle before carrying out a fast and efficient tyre change. We always offer advice on keeping your tyres inflated to the psi recommended by the manufacturer, as having the right tyre pressure is crucial to ensuring your safety on the road. Contact us now, in Woking, Surrey, to purchase new tyres or book a wheel alignment.